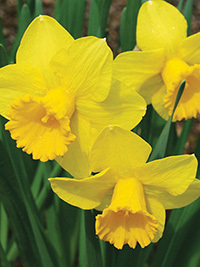 Yellow large cup daffodil. Mid season flowering, after Malvern City and Carlton. A strong, tall grower at 50 cm.